The historic 1891 chapel which is now home to Chapel Grille’s Cathedral Bar was once the place of spiritual healing as part of the rehabilitation of the Sockanosset School for Boys. 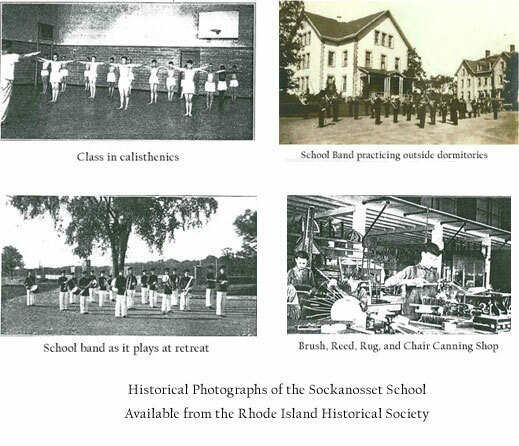 The establishment of the Howard Reservation, which includes the Boys Training School, was Rhode Island's first attempt to provide statewide social services through publicly supported and administered institutions. As such, the Howard Reservation represents both a significant change in the role of the state as well as a major alteration in the treatment of the poor and the criminal. The story of the Boys Training School is actually part of the social history of the entire United States, not just of Cranston or Rhode Island. For the first 150 years of American history, poverty and crime were regarded as natural elements of human society. In Rhode Island communities, as in other colonial towns, vagrants and others who did not belong were "warned out" and summarily driven from the town line. But those who did belong were accommodated either by public humiliation or imprisonment--in the case of culprits--or charity, in the case of the impoverished or diseased. After the American Revolution a new philosophy evolved: It held that deviance and poverty were not inevitable but simply the result of a poor environment. The solution was believed to be the isolation of the poor and the criminal in an environment that eliminated the tensions and chaos that produced deviant behavior. In 1866, a state Board of Charities and Corrections was established for the purpose of consolidating into one "state farm" a house of correction and a state almshouse. The two-fold goal was to raise standards for the indigent while at the same time lifting this burden from the local towns and cities. Institutionalization would create a better, more organized environment where the behavior of inmates could be controlled and where, away from the temptations of society at-large, they would develop new habits of industry to prepare themselves for honest and productive lives. And so the buildings and associated activities at the Sockanosset School for Boys reflect a commitment to the doctrine that idleness and lawlessness are closely intertwined. The various industrial shops would replace the idle hands of the "devil's workshop." There was a machine shop, a carpenter shop, a printing shop, a mason shop and a blacksmith shop where the boys learned useful trades. The boys were directly involved in the production, preparation and serving of their own food. These young tough guys even learned to sew! The boys also helped construct their own environment, so the elements that compose the structures themselves reflect the philosophy that created and guided the school throughout its history. The bricks, stone and mortar, as well as the woodwork, bear silent testimony to the benefits of honest labor. The cottages that housed the boys were designed to give them a sense of ordered and structured home life; they were both institutional and domestic at the same time. These handsome cottages, which surrounded a circular driveway, were built between 1881 and 1895 and combine solid rubblestone walls, granite quoins, and arched windows with Stick style porches. Carpionato Properties has kept three of these cottages and incorporated them into one lifestyle building. Wholesome recreational activities were provided by the gymnasium. The chapel and its infirmary addition administered the necessary spiritual and physical healing needed by the wayward youth. Originally designed by the Rhode Island based architectural firm of Stone, Carpenter and Wilson, it is one of the most handsome buildings at the Howard Complex. This company also designed a number of prominent structures in the region including several Brown University buildings. The current chapel was built in 1891 of stone, with a shingled porch. The infirmary wing, which was destroyed by fire in the 1970s, has been rebuilt by Carpionato Properties with the direction and oversight of The Cranston Historic District Commission and The Rhode Island Historic Preservation & Heritage Commission. 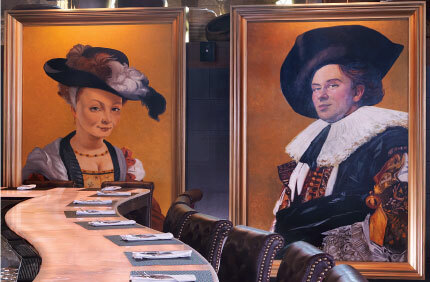 This section is now the main dining room of the Chapel Grille. The land, on which the Boys Training School was situated, was the old Stuckely Wescott Farm. Stuckely Westcott III (1672-1750) who married Priscilla Bennett (?-1754), inherited land from his father Jeremiah Westcott who inherited the land from his father Stuckely Westcott I. The land was deeded to Stuckely Westcott I by Roger Williams in 1638. Stuckely III was a weaver by trade, but also carried on a farm. Stuckely and Priscilla had four children: Josiah, Stuckely, Freelove and Benjamin. Josiah, the eldest son inherited the 35 acre homestead upon his father’s death. His property was purchased by Thomas Bayton and then eventually sold to the State of Rhode Island for the boy’s training school in 1869. Rhode Island Historical Preservation Commission, Statewide Historical Preservation Report P-C-1: Cranston, Rhode Island, 1980. Thomas Williams Bicknell, The History of the State of Rhode Island and Providence Plantations, Volume 3. American Historical Society, 1920, page 867-869. 4Acts and Resolves of the General Assembly of the State of Rhode Island and Providence Plantations. Published by Henry Ward, Secretary, 1880, page 20.